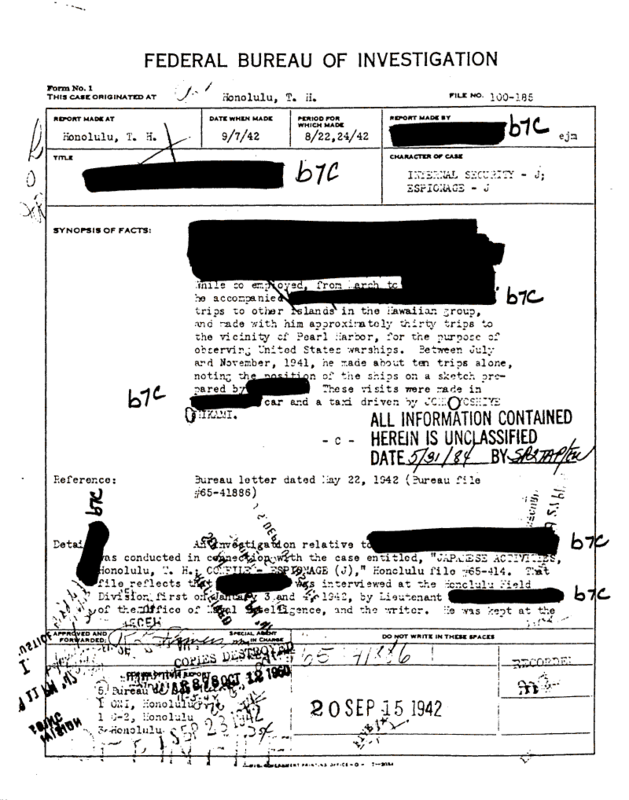 Document Notes: Another report concerning espionage prior to the attack on Pearl Harbor. Gives some insight into the operation of the Japanese Consul Office in Honolulu. If the subject of this investigation was alive in 1988 when P.L. 100-383 was passed, he would have received $20,000 and an apology.